Bharat Gas Booking LPG Portal 2018 News: Download E-Bharat Gas Application Form 2018-19 Online Do Bharat Gas cylinder Book as here get alerts on Bharat Gas Booking online portal at www.ebharatgas.com. Now you can Book Bharat Gas Cylinder Online at ebharatgas.com. Friends now you all can avail this facility in very easy manner to get eBharat Gas LPG connection online from mobile by sitting home. 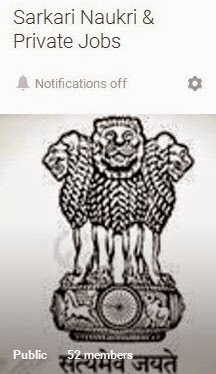 People of India can apply for new registrations bharat gas connection through official web page http://www.ebharatgas.com/............ As per latest news from sources this company is more than 03 decades (30 years) in this market with dominant brand name in market. Further needed information of Bharat Gas Booking New Connections 2018 regarding documents, customer care number, online registrations, SMS booking, products and how to apply etc is mentioned below………………..
About Bharatgas History - Providing Customer Delight to over 30 million Homes! LPG as a household cooking fuel was introduced by erstwhile Burmah Shell under the brand name “Burshane” in mid 1955. The journey of LPG as a domestic fuel continued with Burmah Shell until the Government nationalized the Company Burmah Shell to become Bharat Petroleum. “Bharatgas” from Bharat Petroleum has dominated the LP Gas market in India for over three decades. It was indeed a great challenge for Bharatgas to replace Burshane as a brand name since “Burshane” had become a generic name in the country for LPG. Bharat Petroleum's inspiration to meet every challenge drove them to work towards establishing Bharatgas as a dominant brand. Bharat Gas comes under Bharat Petroleum Corporation Limited (BPCL), Govt of India. 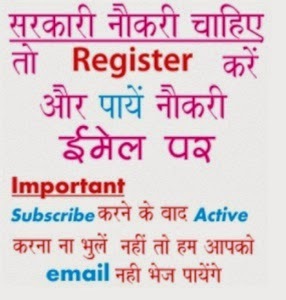 All consumers have to register there mobile no. or land line no. to get free sms alerts for ebhartgas booking status online. Following are the documents required for new registrations:-a) Proof of Address (POA) - aadhaar card, voter id card, ration card, lease agreement, driving license, telephone bill, electricity bill, water bill, passport and bank statement. A new window open and again click on “New Request” Link and fill all required information required such as salutation, first name, last name, middle name, state, phone, D.O.B, Spouse name etc. How to Book Bharat Gas Online? You can now complete all formalities online at your convenience. Please keep a scanned copy of your Photograph, Proof of Identity (POI) and Proof of Address (POA) ready before you start filling in the application either as JPG or PDF file separately for each document (file size for each should not exceed 500 KB for each document). Once your registration is cleared for release of LPG connection, you can choose to pay online and complete the process. In case you do not have scanned copies of your Photograph, POI & POA, you can still apply online and submit the photograph and copies of POI and POA to the distributor, along with the printed copy of your online application. Note: Sometimes you may find message ebharatgas site down due to maintenance activity due to high traffic.. If you for some reason do not need your LPG connection anymore, you can surrender your connection and obtain a refund of the deposit amount. Click here to submit your request for surrender of connection. However your connection will be terminated only after you submit cylinder/s and pressure regulator to your Distributor. Please do not forget to take the refund of the cylinder deposit from your Gas Distributor.